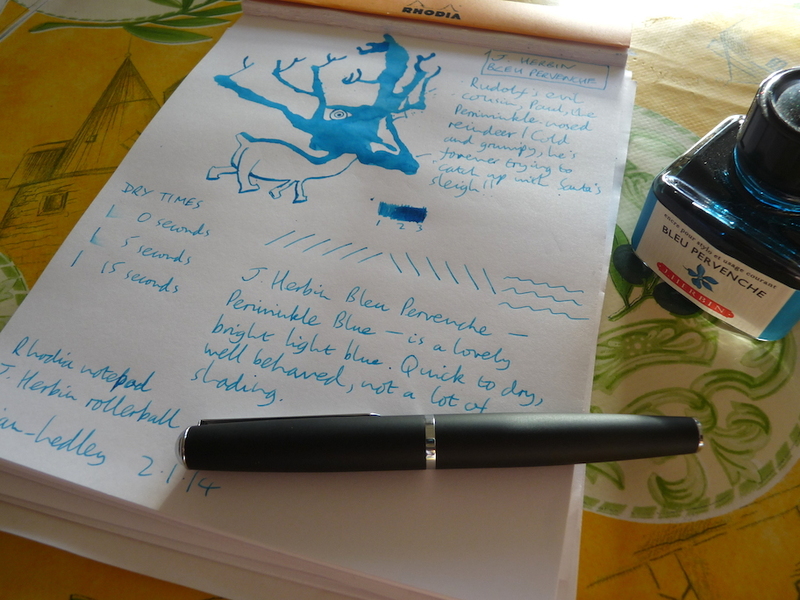 J. Herbin Bleu Pervenche ink review – Pens! Paper! Pencils! A very bright turquoisey blue. A little shading. A delicate little ink. Lovely bottle. French. Note that I did learn how to spell periwinkle properly between the beginning and the end of writing this review. This doodle totally made this review! I hope you plan to save ALL the doodles for every review you ever do and then make a book of them. It would be brilliant. Love. Thanks Azizah! At the moment I have them all in a disorderly pile while I work out what to do with them. A book sounds like a great idea. I love Paul! 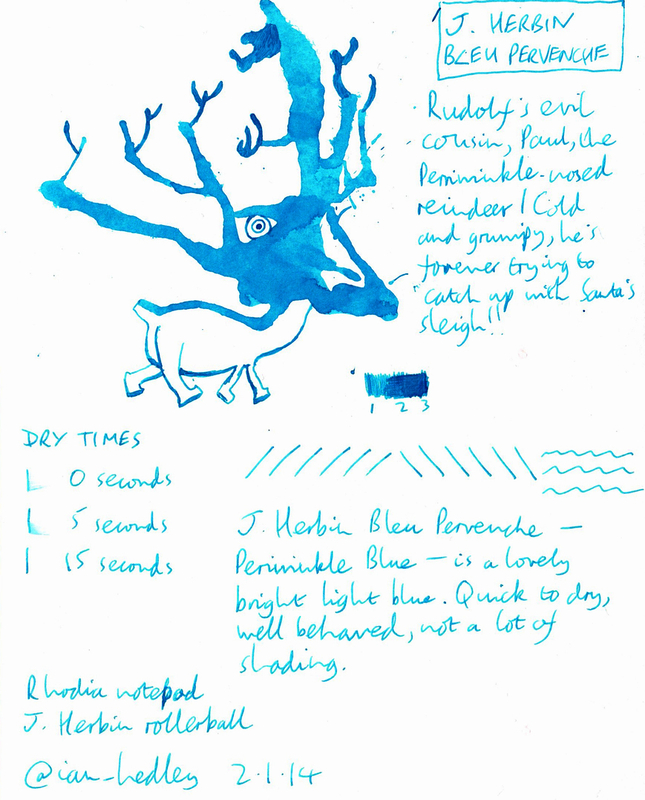 I hope he catches up to the sleigh – nothing like being late to a CHristmas party:( Poor Paul. Great review! He did manage to catch up in the end. Just in time for a medium dry sherry and a mince pie. He’s warmed up a bit too and is now more of a Rouge Bourgogne than a Bleu Pervenche.